Designing a convention is much like designing a larp. You have to design for interaction, participation, and people’s insecurities. How you manage the social design affects how people meet one another, whether they feel safe, and the overall vibe of the conference. 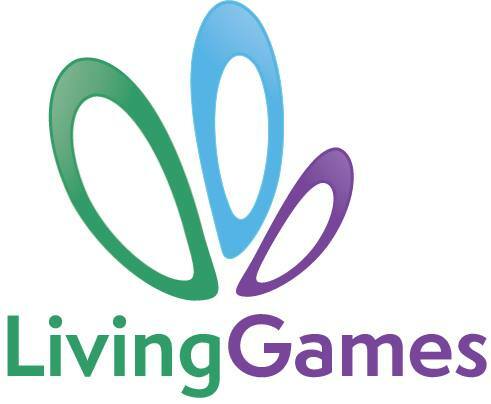 Here’s a case study of how to do that using Living Games Austin. In part one of this post, I’ll lay out some of the things we considered in planning the convention, and how we solved those issues. Caveat: Social design encompasses everything from the layout of the venue to what you wrote in the participant email. In a good design, all the elements support one another. This isn’t a complete list, nor is it the only way to do successful social design. Make it easy for participants from different larp traditions and backgrounds to have good conversations with one another. Attrition–when people leave the convention for long periods, say, for food, or for room parties, or due to microaggressions and we don’t get to see their flavor of awesome. People who feel shut out of conversation because it includes a lot of technical terms. Cliquish behavior–people only hanging out with their friends. We didn’t bat 1.000 on any of these–no convention can–but I think we did pretty well. The choices laid out below support these goals and are aimed at overcoming these problems. If you have different goals or are worried about different problems, your solutions will probably differ too. The basic schedule for Living Games Austin involved a morning keynote, lunch, three slots for program items (including a middle slot for workshops), dinner, another keynote, and then games, workshops, and parties. In general, we used a high-touch approach in dealing with program participants. This means that we sent out few mass-emails. Instead we preferred one-on-one or small group contact targeted to each group and event. A high-touch method of contacting presenters creates more intimate relationships between participants and organizers, and we also thought it made people more likely to answer our emails. We had a lot of keynoters, each speaking for 15 to 20 minutes in sets of three or four, each organized around a theme like “Community.” There was no other programming scheduled against the keynotes, so all participants were (if not tired or sleeping) available to attend. Essentially, we arranged the schedule so that everyone at the conference could be in the same room at the same time, sharing an experience. We thought this would create community and give people shared experiences they could chat about during the rest of the conference. Rather than go deep on a single topic with one or two speakers, we opted for several. Short speeches have two advantages: it’s easier to keep the audience awake, and they give keynoter status to more speakers from more traditions. For a conference seeking to connect people from many disparate traditions, that’s a big plus. We also wanted the conference to have a certain level of professionalism, and formal keynotes help accomplish this. We want the hobby to grow and attain mainstream recognition–establishing academic and professional quality at our conferences will help achieve this goal. When people pitched program items, we found similar ideas and stuck those people together. We solicted people we knew had interesting things to say on specific topics. We generated our own ideas for program items and then found people to fill those in. We allowed only a few program items that appealed to a single tradition of larp. Get people from different traditions to meet each other online before the convention and figure out what they had in common. Make program items that would fight insularity by appealing to several different audiences. We also tried not to schedule any one person for a zillion program items, because we wanted all speakers to be participating in the conference as audience members as well. Not everyone loved how we put together the panels, but from our standpoint, we think the social engineering mostly worked. We knew from the beginning that we wanted to share what happened at Living Games Austin with a community beyond the conference. We documented the keynotes and many other program items with video that will be uploaded to the Living Games Hub shortly. We sent out slide templates, both to telegraph to our presenters that they should think about and structure their presentations in advance, and as part of how we designed for documentation. Slides are easy to upload to a website, which would help us share the created community beyond the conference. On a social engineering level, we wanted presenters to participate in the conference, not holed up in their room making edits to their Powerpoints, and asking for slides early on in the process was part of how we designed for this. Many wonderful people contributed to our conference. When we opened the gates to program submissions, though, we noticed an unsurprising trend: few people from historically marginalized groups had put their names forward as speakers. So we asked them. We worked our personal networks to invite people. Fortunately, we had a pretty deep bench waiting in our rolodexes…ahem…Facebook friend lists. We hope that future iterations of the conference will be even more inviting and diverse at all levels of the organization. We wanted to have theorists as well as practitioners present at the conference–they should talk to each other all the time, right? And we wanted the academics to be able to get institutional funding if they needed to. This meant we had a separate, peer-reviewed academic track, organized by Sarah Lynne Bowman and Evan Torner. They were also able to curate a separate edu-larp track at Texas State University School of Nursing, a daylong conference on roleplaying and simulation in education that took place before the main conference. Not only did this provide a fabulous venue, it let our participants connect with folks from the related field of simulation. The joint-institutional affiliation between Living Games Austin and Texas State allowed official letters of invitation that helped some attendees receive funding. An added bonus is the peer-reviewed conference proceeding, which will be available soon. I’ve written about food as part of social design here. A Living Games ticket included six meals–three lunches, two dinners, and one breakfast. Basically, including group meals as part of the conference programming provided an opportunity for conversation and mingling. Eating also helps humans stay alive in extreme situations like a gaming conference, when they may be sleep-deprived and overstimulated. Shared meals also avoided the social awkwardness of finding a group to go off-site for lunch. And it made getting 150 people fed took far less time than it would if they all wandered off. It may also have made budgeting easier for some, as the ticket cost became reflective of closer to the total cost of the conference, rather than a cheaper fare plus food. We had an empty conference room or two close to the convention floor that folks used for impromptu games, meetings, hang-outs, and program items. We envisioned it as an unconference space, where people could make their own fun. However, because we didn’t offer support on how to use this space to make program items, few people did. Over the course of the weekend, one game and one excellent set of micro-talks ran there. However, I do think there’s value in having some unused space at a conference. These rooms became places for private conversations, places to decompress, and so on. In other words: we found uses for the empty space beyond unconferencing. In the future, it’d be possible to design for that. The evenings contained active workshops, larps, and scheduled parties. We included games in the schedule because we wanted to include practice as well as theory in the conference. And obviously because we all know games are social hacks that create community. We ensured that all games would last only two to three hours, so that they didn’t steal people away for a whole evening, or preclude players from joining in workshops or other conversations. Workshops enabled folks to be physical, learn tools and methods, and had some of the same communitarian effects as games. We tried to plan workshops during times when no other active program items were available, to get people moving. Scheduling parties meant we could make parties accessible to everyone at the convention, rather than having hidden gatherings in different rooms. We borrowed the tradition of one-hour parties from another convention–the time limit means that parties have a small social footprint, which allows more people to plan parties, and prevents gatherings from being stagnant. Some people thought we had too much going on at night, and that this made the community feel a bit too spread out for some of the magical conversations. There’s an easy fix for that: invite your friends next time around, so we can grow! They didn’t have to be fancy–in fact, the shorter the better–but you’ve got to open and close the magic circle. And it’s a great time to remind people about practicalities and safety/social design tools. If you think of a conference as being like a larp, then A Week in Austin activities were both workshop and debrief for us. Participants who showed up early had a chance to meet and get to know some participants and volunteers through shared activity, beginning to make bonds with one another. We offered two tracks: one for touristy/social activities and another for short games. Those who attended the restaurant dinner and bat-watching after the end of the conference had the chance to begin their debrief in a wide group. Tune in tomorrow for part II of this post, in which I’ll describe how and why we adopted specific safety practices and social rules. Although I’m describing the social tools Living Games Austin used, I don’t deserve credit for creating them. Credit for social design should go to the entire Living Games Team of organizers and volunteers, as well as to the many conventions we borrowed techniques from. In terms of convention structure, we were particularly influenced by the US tradition of gaming conventions and the Knutepunkt tradition, particularly its one-hour party traditions, and the keynote design of Knudepunkt 2015. Special thanks to Sarah Lynne Bowman for comments and additions to this post. LeavingMundania.com owes its existence to the continued support of many wonderful Patrons. If you enjoyed this post, consider joining the conflagration of awesome people underwriting my blog on Patreon. This entry was posted in Blog and tagged Ashley Zdeb, conference design, Emily Care Boss, Evan Torner, Living Games Austin, Living Games Conference, Sarah Bowman, social design, social engineering by Lizzie Stark. Bookmark the permalink.